United Methodist Women wants to encourage everyone, especially women, to get out and vote. To read more on the importance of voting, click here. EcoFaith Recovery is a faith-based leadership development effort in the Pacific Northwest. Their purpose is to revitalize congregational ministries to participate in the healing of creation. 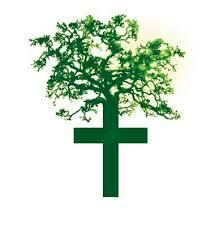 They envision themselves as the tree of life, rooted and growing at the junction of ecology, faith, and recovery. They hope to create and network small groups and learning communities that can discover new and sustainable ways of being, to engage, mentor, and nurture one another in spiritual, economic, and community leadership, and to build and re-build powerful institutions that can employ the resources of Christianity, creation, cosmos, and community toward the work of healing. To read more on EcoFaith Recovery click here. United Methodist Women members asked the U.S. Environmental Protection Agency to protect the vulnerable as a way to speak out for justice. Three United Methodist Women members raised their voices on behalf of the vulnerable, women, and children in Washington D.C., speaking out against a possible postponement of regulations affecting natural gas and oil production. To read more on how and why these women spoke out for justice, click here.